Bridal Cave"My wife and took our first tour of this Cave today and absolutely loved it. Our guide was a young lady, she was very knowledgeable and funny. While this was our first tour of the place we have been to the park several times and I will tell you that they have the nicest employees of anyplace I have ever been. "- Dexter G.
"What a beautiful place to explore and see the wonderful sights that nature has to offer! 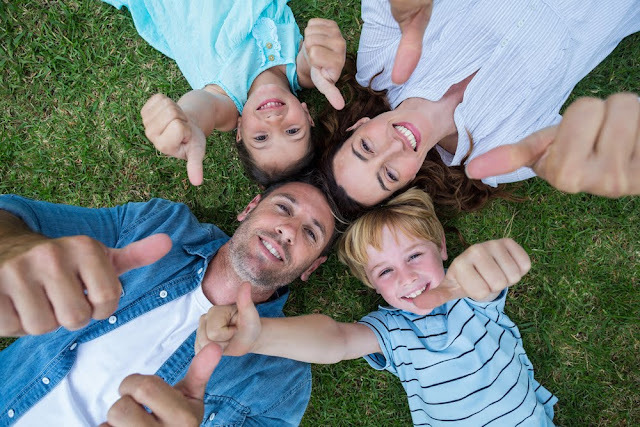 "- Alexander M.
Family vacations are a great way to escape the hustle and bustle of everyday life while you enjoy spending time with your loved ones. The Lake of the Ozarks is a top destination for many families in the midwest. Voted the Best Recreational Lake in the United States, it's no wonder families travel to the area. If you're interested in a vacation to the Lake of the Ozarks, you've come to the right place! We feature the Best Lake Attractions in the area. 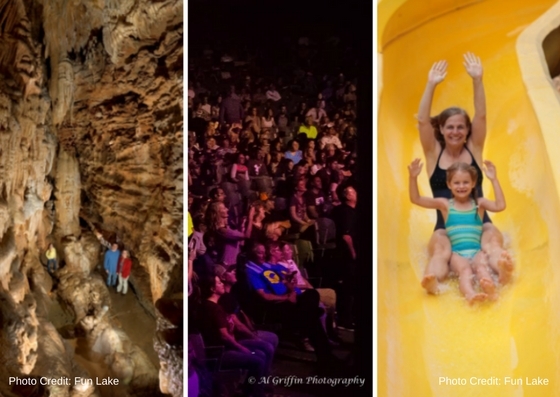 Learn all about our family-friendly attractions at the Lake of the Ozarks below! Get your Adventure on at Bridal Cave Explore the local cavern and learn all about its history in an adventurous tour of Bridal Cave. It remains a constant 60° inside, so it’s a great activity, no matter what the weather! Guided tours leave every few minutes - you don't have to wait to start exploring the cave. In addition to the fabulous cave, Thunder Mountain Park is filled with hiking trails and natural beauty for your family to enjoy. We are gearing up for summer at the Lake of the Ozarks! As your premier concert venue at the Lake of the Ozarks, Ozarks Amphitheater has a line up that will blow your socks off! Get ready to rock ALL SUMMER LONG. 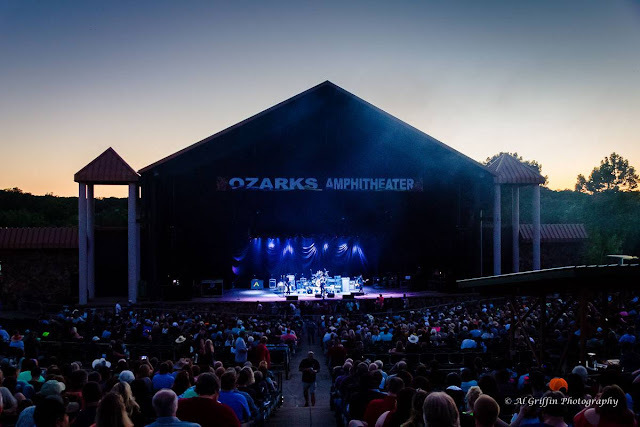 As your one-stop for all things Lake of the Ozarks attractions, we've spotlighted some of the talent you can catch at Ozarks Amphitheater this summer! Stampede on Stage - 5/19 Come out for an evening of thrills at Ozarks Amphitheater. Show your support and gear up for a night full of excitement as bull riders try to tame the bulls at Ozarks Amphitheater! The Stampede will take place ON the stage! This is a fantastic community fundraiser to benefit the VFW Post 5923 in Camdenton, MO. Buy your tickets today! If you're looking for family-friendly fun at the Lake of the Ozarks, look no further than Big Surf Waterpark, Bridal Cave, and Ozarks Amphitheater. These fantastic attractions at the Lake of the Ozarks top the list of "things to do" in the area. 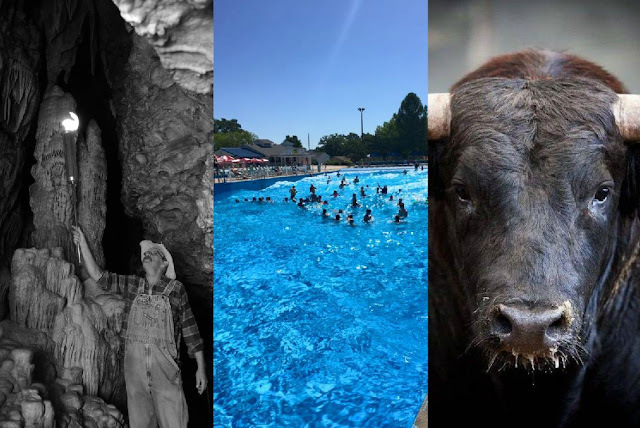 Whether you live in the area full time or visit for vacation, one (or all) of these attractions can help to entertain your friends and family. You can't go wrong with spending your "off the water" time at these great venues! While you may know a little about each of these entertainment options, do you know the inside scoop on them? If not, keep reading this blog to learn more! From special events to unique happenings, there are a number of ways these venues offer hidden gems for tourists and locals, alike.